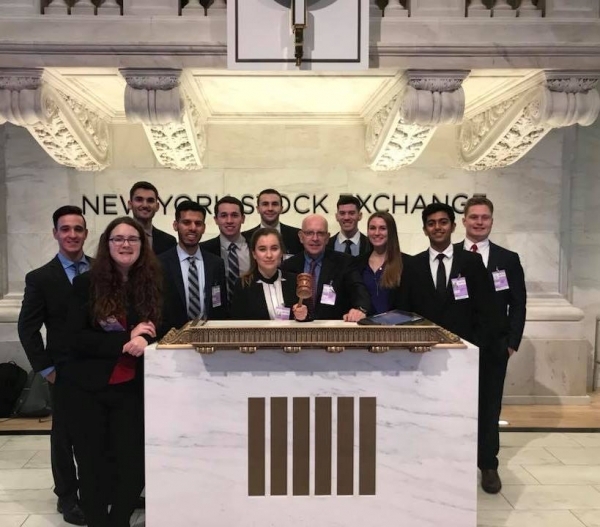 Finance students and Prof. Ed Hutton at the New York Stock Exchange. The finance major emphasizes hands-on learning designed to help students understand the financial structure of various organizations and the basis of financial decision-making. Students learn about the ways businesses obtain and allocate monetary resources and how individuals and institutions handle investments. The finance degree program prepares students for a professional career in a variety of concentrations. How to access and utilize financial information. How to obtain and allocate monetary resources and how individuals and institutions handle investments. Skills for understanding the function and applications of financial markets.